Healtlh Care Collaboration and Kenneth Cohn, M.D. I received an email at 2:45 AM PDT today. It was a bit like a knock at the door with a message from an unknown person. "I regret to inform you, your colleague, Kenneth Cohn passed away prematurely at age 64. I couldn't read the rest of my emails until just now, 2:45 PM. After a pause I decided to write this blog in memory of Ken, and to offer solace to his family close fellow workers, well as the rest of us who remain largely unknown to Ken other than the replies to his blog and other writings. 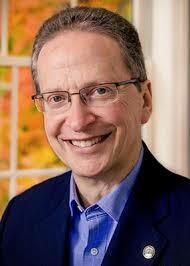 Kenneth Cohn M.D. had this huge data base in his mind, always searching for new data, and did not need fancy analytics or algorithms to analyze health care. He took it all in and then revealed 'out of the box' solutions. He lived in one of the most challenging periods of health care. It is one of those sea-changes when things happen so fast one is b arely able to adjust to a change when another even more radical change occurs. Some of us were swept away by the tsunami of government intrusions, managed care, reduced reimbursements and more. Others went with the flow, ending up higher on the beach, or sucked out to sea to swim for our lives. Kenneth did his best to keep us afloat......what a battle it was. He is in a far better place today. I hope he and his family did not suffer too long. Thanks Ken for all the things you did for us. A recent survey (admittedly uncontrolled, and unscientific) reveals several types of reactions to the SCOTUS ruling on the Affordable Care Act. 3. Liberals who equate Obamacare with socialized medicine. Nothing could be further from the truth. Apathy amongst providers is growing. Too much energy and time are involved fighting this battle for patients, which detracts time and energy from direct patient care. The Republican party has wasted much time and effort attempting to tear down the Obamacare Wall by removing a tiny cindereblock from the foundation. The major problem with Obamacare is not the tax credit issue. Blindly offering insurance coverage and access by politicians intent upon gaining political influence, and/or election is a great disservice to the American voter. The internal workings of the American health system are overshadowed by HHS, Medicare, and Medicaid rulings which at times overrule the workings of the private sector. As recently as 1965 governmental intrusion into health care was minimal. Over the next 50 years involvement grew exponentially as Americans lined up for their 'entitlements'. As it grew, freedom of choicde gradually eroded. President Obama now claims the Affordable Care Act is "the law of the land", much like he promised, "If you like your doctor, you can keep your doctor". The truth is quite the opposite. This one lie disenchanted any intelligent voter. He lied about that, and about the influence of Jonathan Gruber on the construction of the Affordable Care Act. Obama lined up with Gruber and his statement about the American Voter being too stupid to understand the law. The lingering problem is that many Americans are ignorant how medical care is financed, and the insatiable appetite for health care...there is never enough. 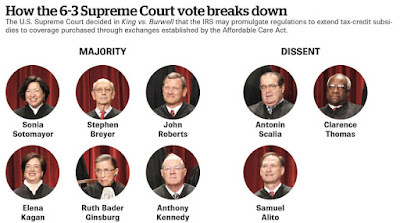 In the long run SCOTUS' ruling will not mean much when the law is deconstructed and heavily amended. It will require intellligent minds who are grounded in patient care and health administration, keeping it paitent and provider centered. As Yogi Berra said, "It ain't over until it's all over"
Any baseball fan can quote this fundamental Yogi Berra-ism. Berra was a famous catcher for the New York Yankees in the 1950s and 60s. I was a diehard Yankee fan during an era when they won 7 straight world series, a feat yet to be duplicated in the 'modern era'. it will be along time before ObamaCare and it's influence can be duplicated, nor produce a more disruptive, controversial law. 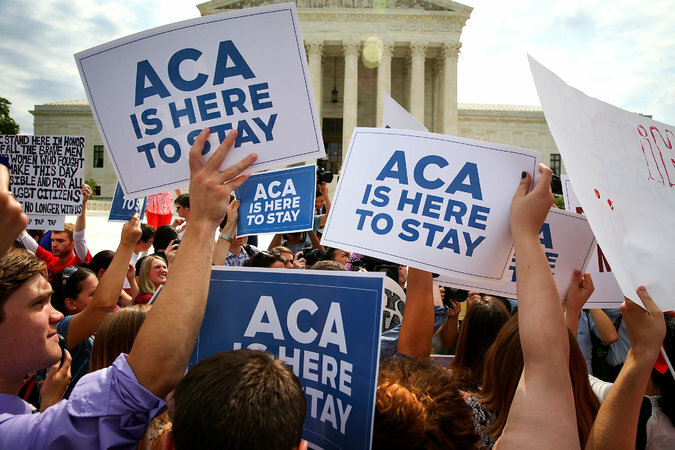 SCOTUS' decision is far from ending the dispute about the Affordable Care Act. Out of desperation the GOP has focused it's effort to negate the entire law. This is a fundamental flaw in the game to unravel the law. Today there are many opinions from health reform pundits and politicians about what the SCOTUS ruling means. For the people that Obamacare claims to help—those who shop for coverage on their own—an analysis by the Manhattan Institute found that the law increased individual-market premiums by 49 percent in the average county, in its first year alone. Since, then many states are facing additional double-digit rate hikes. It shows that as a percentage of those eligible for Obamacare’s subsidies, only those near poverty—with incomes between 100 and 150 percent of the Federal Poverty Level—are signing up in large proportion. That’s because for them, taxpayers are subsidizing nearly all of the cost of their coverage. 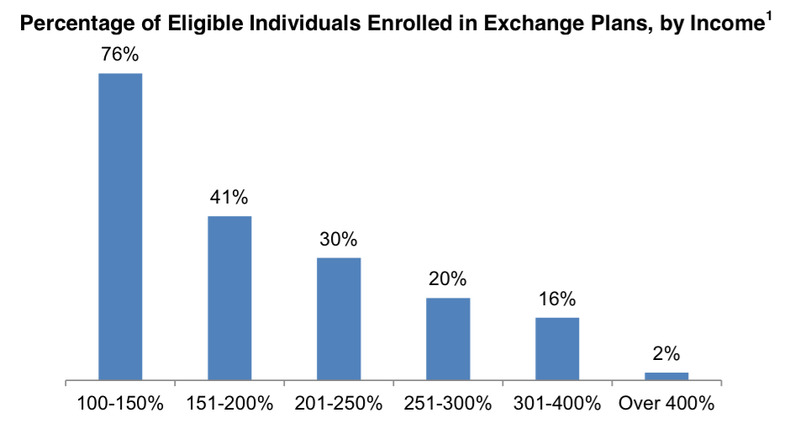 As you go up the income scale, Obamacare’s subsidies aren’t large enough to make up for the law’s steep premium hikes. This is exactly what I and my Manhattan Institute colleagues were concerned about when we first started writing about Obamacare’s “rate shock” problem. Indeed, the vast bulk of Obamacare’s increase in health insurance “coverage” comes from its expansion of Medicaid. Medicaid is so dysfunctional that it has been shown to have “no significant effect” on health outcomes, relative to having no insurance at all. Insurers will continue to announce premium hikes, and states will continue to struggle to fund roads and schools, as Medicaid eats up more and more of their budgets. Obamacare will remain unpopular. And if voters elect a Republican President in 16 months, it will be elected officials—not the Supreme Court—who will be rewriting the law. In case you’re living under a hole (in the healthcare world we call that in the middle of an EHR implementation), the Supreme Court ruled on King v Burwell today. You can read the 47 page document here if you’re interested in the details of the decision. 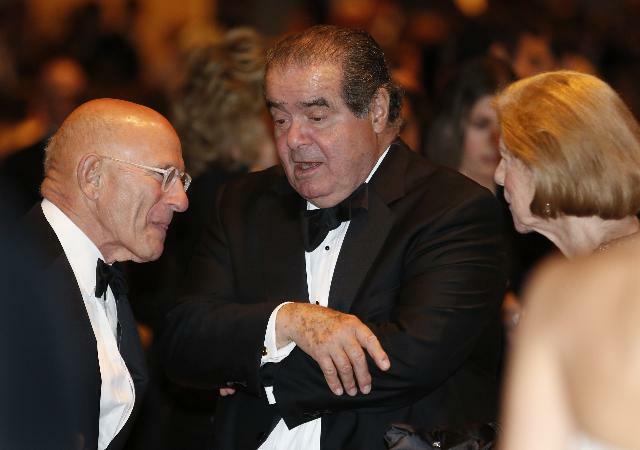 If you’ve ever read a Scalia decision or dissent, then you’ll know what to expect in his dissenting comments. 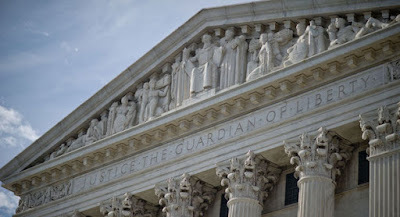 The Supreme Court today voted 6-3 to uphold subsidies to states who do not operate their own health insurance exchange, thereby strengthening the market place across the United States. Congress, overwhelmingly Democratic wrote a flawed law, the Affordable Care Act, poorly written and conceived will for the time being remain intact. The vote is seen as a win for President Obama and the Affordable Care Act, and some say this will insure the survival of the law after 2016. Republicans remain adamantly opposed to the law. However Republican Governors can breathe a sigh of relief knowing that their state constiuents will qualify for federal subsidies. The questionable wording is buried in the lengthy 1200 page law, most of which was not read by Congress. As Nancy Pelosi predicted, "We won't know what is in it until we pass it"
The wording, "established by the state" appears ten (10) times in the law, found by this author in the certified text of the Affordable Care Act. 15 through an Exchange established under section 1311. Was it congress' intent to obfuscate it's plan to insure all Americans? 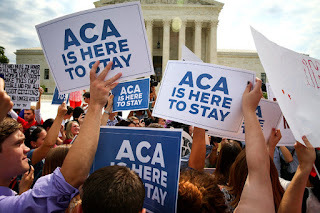 The Supreme Court's Opinion is "YES" firmly establishing the Affordable Care Act as the law of the land. Health Information Technology: Are we facing another bubble ? 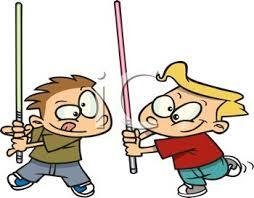 Some are comparing today's hot market in HIT to the Internet bubble of 1999. However there are some significant differences. The beauty here is its attempt to understand an organic phenomenon. IMO, it's also useful to look at the underlying drivers of (aka, incentives attributable to) that phenomenon. Today's large, "mature," post-IPO firms (Cisco, Apple, Microsoft, Ellie Mae, Intel, just to name a few) do less of their development in-house and rely more on the startup factories to generate new ideas; then the M&A engine kicks in to liquidate and (hopefully) integrate the new ideas. Sadly, most of these large(r) firms are saddled with un-innovative, un-inspired, un-inspiring, and sadly conventional senior managers, hence old thinking. It's too far a cry from the erstwhile "intra-preneuring" of the 70s and 80s to get to market relevancy, aka traction, while the market is still fertile and competitors sitting on laurels. Thanks for sharing this analysis. 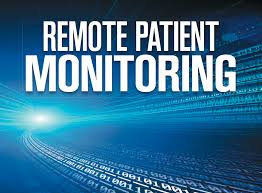 Few health care providers are discussing wearable devices or mobile health applications with their patients, even though they believe the technology could be beneficial, according a MedPanel market survey of 415 providers, Health IT Analytics reports (Bresnick, Health IT Analytics, 6/22). The researchers also found that providers are only somewhat satisfied with the products currently on the market. MedPanel suggested that the responsibility to boost mobile health use falls on vendors, who can improve their products to make them more appealing to providers (Health Data Management, 6/22). 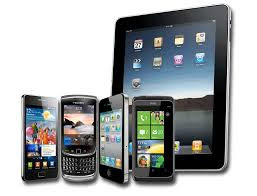 For instance, a product that could integrate mobile health data directly with an electronic health record system in a way that supports productive workflow could boost mobile health recommendations among providers, according to the study. 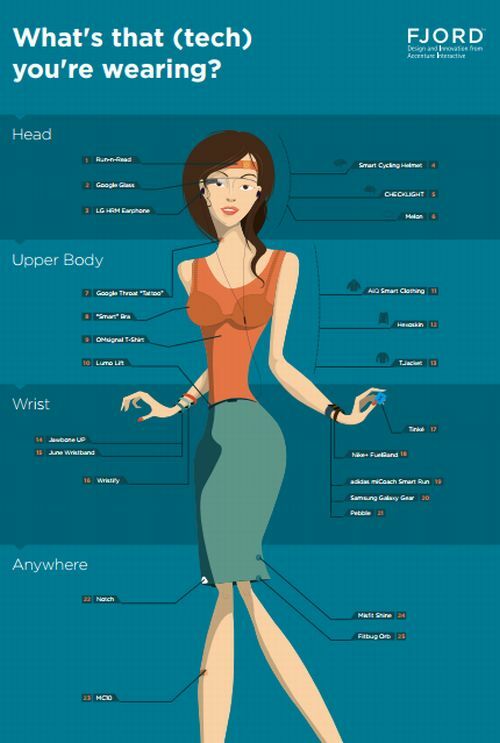 42% of patients who are not using a mobile health app could benefit from such technology (Health IT Analytics, 6/22). A key factor in adoption will be classification of the wearable as durable medical equipment and with FDA approval...........a difficult bridge to cross. 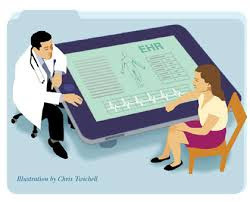 Electronic health records are a key part of practicing medicine today. However, there's no national standard for how medical students should be trained on EHRs. health records. But medical schools have been slow to keep up with the trend. There's no national standard yet for how med students should be trained on EHRs. may be forced to sink or swim once they start to practice. 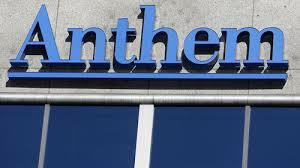 Health insurer Cigna Corp. has rejected a $47 billion offer to be acquired by Anthem, a larger rival, saying the terms of the bid are inadequate and "woefully skewed in favor of Anthem shareholders." 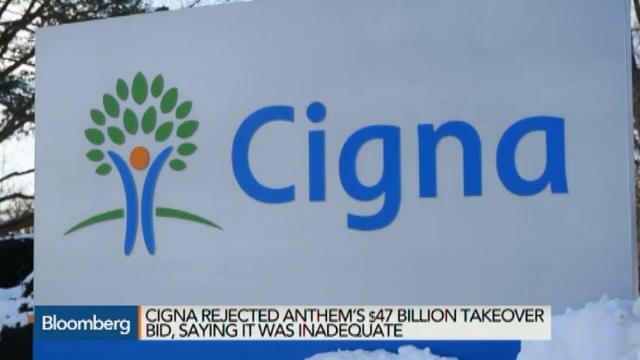 Cigna's sharply worded rejection came just one day after Anthem went public with its cash-and-stock offer, which amounts to about $184 for each Cigna share or about an 18% premium on Cigna's closing stock price on Friday. "How big is big enough ? " U.S. Congress chooses between social security and health quality organization. Comparative Effectiveness Reviews are systematic reviews of existing research on the effectiveness, comparative effectiveness, and harms of different health care interventions. They provide syntheses of relevant evidence to inform real-world health care decisions for patients, providers, and policymakers. Strong methodologic approaches to systematic review improve the transparency, consistency, and scientific rigor of these reports. Through a collaborative effort of the Effective Health Care (EHC) Program, the Agency for Healthcare Research and Quality (AHRQ), the EHC Program Scientific Resource Center, and the AHRQ Evidence-based Practice Centers have developed a Methods Guide for Effectiveness and Comparative Effectiveness Reviews. This Guide presents issues key to the development of Comparative Effectiveness Reviews and describes recommended approaches for addressing difficult, frequently encountered methodological issues. The Methods Guide for Comparative Effectiveness Reviews is a living document, and will be updated as further empiric evidence develops and our understanding of better methods improves. 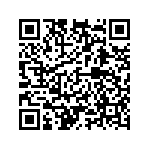 Comments and suggestions on the Methods Guide for Effectiveness and Comparative Effectiveness Reviews and the Effective Health Care Program can be made at www.effectivehealthcare.ahrq.gov. This document was written with support from the Effective Health Care Program at AHRQ. Health Train Express recommends readers review the AHRQ Master Index for an overall view of what and how AHRQ spends it's money. What is your opinion on how de-funding AHRQ will effect health care ? Is it a duplication of other organizations that perform similar if not identical tasks? The Affordable Care Act is stimulating the growth of other needless and reduncant health organizations focused on outcomes, safety and quality of care. 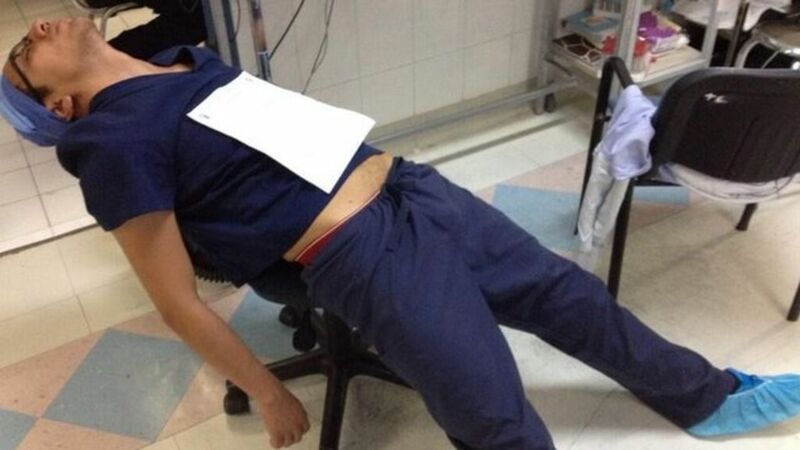 Should Doctors Be Allowed to Nap on the Job? Most people are aware that physicians can lead hectic lives, with disruption of diurnal sleep cycles resulting in stress, and fatigue. Many doctors have learned to take a quick nap and return to work, refreshed. This is not at all uncommon when working 18-20 hours or more. During training it is not uncommon to work 24-36 hour shifts when on call or covering a service on a weekend. Often a physician will nod off involuntarily. The blogger wrote, ""We are aware that this is a tiring job but doctors are obliged to do their work," wrote the blogger who posted the images. "There are dozens of patients in need of attention." But the doctors didn't take the criticism lying down. When Juan Carlos, a Mexican doctor, heard the story, he created the hashtag #YoTambienMeDormi ("I've also fallen asleep") and tweeted: "I've also fallen asleep after operating on one, two, three and even four patients on any regular shift." Carlos told BBC Trending that he wanted to "expose the differences between the rights of doctors and the rights of patients." the physican went on, "As a doctor here in Mexico, it's illegal to take a picture of a patient without their prior consent, even if it's for medical purposes. But a patient can take a photo of a doctor with the sole purpose of damaging our reputation." This particular posting was an act of meanness and attempted to shame a hard working exhausted trainee. Sleep deprivation can be dangerous to patients as well. In fact regulations were written to prevent resident abuse, liming the total number of h ours a trained can work each week. A bizarre posting appeared on social media with a hashtag, #YoTambienMeDormi . There was a 'backlash' on social media, with many relevant comments. The Latin American doctors argue, however, that they're not being treated as humans with "normal physiological needs", says another Mexican doctor, Marcela Cueva. "And that doesn't mean that we don't take good care of our patients. The problem is that nowadays the doctor-patient relationship has been damaged and social media is part of the reason. Doctors are bashed on some physician grading websites, and also by disgruntled patients on twitter, facebook and other social media websites. People are more likely to write when they go through bad experiences rather than good ones." 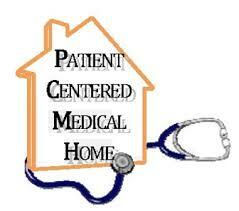 The medical home is a relatively new term term in the golden age of health reform. It is really not a new concept.We used to call it the family physician, or primary care provider. However in today's environment it takes a village to provide the care which one provider used to be able to deliver. In evaluating Medical Homes, it is not surprising to see significant variations in success depending on regional variations. No two medical home interventions are exactly alike, and recent studies have demonstrated their heterogeneity. Similarly, the context and setting of medical interventions differ widely and can have significant effects on their outcomes. Recent evaluations of two regional medical home pilots (i.e., efforts to improve the capabilities and performance of primary care practices) within the Pennsylvania Chronic Care Initiative (PACCI) have produced differing results. In the southeast region of the state, the intervention was associated with improvements in diabetes care, but no changes in other measures of quality, utilization, or costs relative to comparison practices. By contrast, the northeast region’s intervention was associated with favorable changes, relative to comparison practices, in a wider array of quality measures as well as reductions in rates of hospital admissions, emergency department visits, and ambulatory visits to specialists. Compared to primary care practices that participated in the southeast PACCI, those in the northeast PACCI had several advantages at baseline. First, the northeast practices may have been “right sized” for rapid transformation: not too big to change quickly, but not so small that they lacked resources to make new capital and personnel investments. And when practice sites were small, they tended to be affiliated with larger provider organizations (Intermountain, Physicians Health Alliance, and Geisinger) that could bankroll and otherwise support their transformation (e.g., through access to “back office” executive leadership with significant organizational experience in care management, which was present for six practices). Through participation in the northeast PACCI learning collaborative, intervention conveners observed that practices lacking this expertise at baseline learned quickly from their peers. In contrast, practices in the southeast were predominantly small, independent private practices or much larger organizations (academic medical centers and community health centers) with less preexisting experience in care management. Second, conveners observed differences in practice culture at baseline. In the northeast PACCI, physicians were more accustomed and receptive to practice transformation that was directed and facilitated by their practice leaders. In contrast, for some practices in the southeast PACCI, conveners noted initial physician non-participation in, and resistance to, new initiatives by practice leaders. Third, the southeast regional pilot included community health centers and teaching hospitals that focused on underserved, sociodemographically vulnerable populations. The northeast region did not have the same representation of such providers, and while these practices did not serve a wealthy population, they may not have faced the same degree of sociodemographic challenges as some of the southeast practices. Fourth, the northeast region was more rural, with few hospital options and more consistent use of the same hospital over time by patients of a given practice, facilitating hospital-primary care relationships. In contrast, the southeast region was a large metropolitan area served by numerous hospitals, complicating the task of tracking hospital and emergency department care. Fifth, evaluations of each regional pilot found that approximately one-third of the southeast practices adopted new Electronic Health Records (EHRs) during the intervention, while all of the northeast practices already had EHRs at baseline. Adopting a new EHR can be stressful to physicians and staff, disrupt longstanding workflow, and distract from other aspects of practice transformation. When I read a headline like the one at the top of this post, my next step is to see who is making that statement. In this case it was made by Secretary Burwell, the head of HHS. On May 4, 2015 Department of Health and Human Services (HHS) Secretary Burwell announced that the Pioneer ACO program had saved the federal government $384 million and improved quality in its first two years and would therefore be expanded. HHS also released a 130 page independent program evaluation by L&M Policy Research that served as the basis for the Centers for Medicare and Medicaid Services (CMS) Actuary’s certification of the Pioneer program. Burwell is a bit of a cheerleader. Burwell’s triumphant announcement was an intended shot in the arm for the troubled Pioneer ACO program, 40 percent of whose initial 32 members dropped out in the first two years. It also illustrated the yawning reality gap between DC policymakers and the provider-based managed care community. In reality, the Pioneer program badly damaged CMS’s credibility with the provider-based managed care community and sharply reduced the likelihood that the ACO will be broadly adopted. 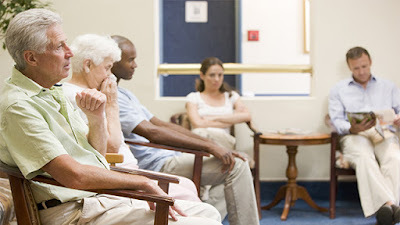 It brings to my mind constantly how can administrators, legislators be so disconnected from the grass roots of health care. Do they do this just to keep their jobs ? If the Secretary’s goal of having 50 percent of regular Medicare’s payments come through “Alternative Payment Methodologies” by 2018 is to be met, that growth is unlikely to come from either the Pioneers or the larger Medicare Shared Savings Program (MSSP). Table I below shows why. But look at what CMS paid out in performance bonuses to their biggest Pioneer savers: $295 million in savings generated only $31.4 million in bonus payments. Rewards were so meager that four of the eight top performers dropped out of the program, a fifth opted to defer calculating their bonus until the end of year three, and a sixth (Atrius) earned no bonuses in either of the first two years despite generating over $36 million in savings. Surprisngly many of the ACO failures were mature managed care entities who had 20 years of managed care experience. When one looks more broadly at the Pioneer cohort, the fifteen mature clinical enterprises with at least twenty years of managed care experience fared poorly (see Table II). Most of these managed care All-Stars were not strangers to managing the risk of Medicare patients, either sponsoring their own fully insured Medicare Advantage (MA) plans or contracting with MA carriers on a full risk basis. Seven of the fifteen All-Stars dropped out of the Pioneer program after two years. The All-Stars earned only 7 bonuses in 30 possible program years and were paid a paltry $20.2 million despite L&M attributing over $185 million in savings to them (Table II). Healthcare Partners, which owned three of the Pioneer franchises (NV, CA, and JSA) dropped out of the Pioneers, but was purchased by DaVita in 2013 for $4.4 billion, a market validation of the strength of their model. (We added University of Michigan to this cohort because they were a surprise success story in the aforementioned PGP demo. University of Michigan was unable to replicate its PGP success in the Pioneer program). 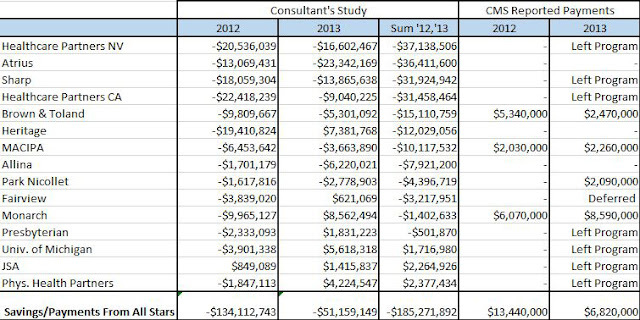 The explanation for this curious outcome is that CMS used prior years’ spending benchmarks for calculating bonuses rather than comparisons of actual spending by the Pioneers to local non-participating beneficiary spending as in the L&M consulting report. The benchmarks CMS used penalized mature managed-care organizations operating in low utilization markets. Acres of low hanging fruit (meaning lots of previously unexamined and uncontrolled health care utilization) seemed to be a precondition for success in the Pioneer program. Metropolitan Boston, one of the nation’s lushest “cherry orchards,” generated 42 percent of the estimated savings for the entire Pioneer program, according to the L&M analysis. And the plummeting savings from year one to year two of the Pioneer program ($280 million to $104 million) raised questions about how rapidly the participants ran out of accessible fruit. Perhaps the dismal financial statistics were biased by comparing apples with oranges. A little context is important here to complete the picture. Based on our experience, the average American hospital in 2015 only covers about 90 percent of its expenses incurred in treating Medicare patients. So to participate in the Medicare ACO program, providers are being asked to spend many millions in capital and operating expenses for perhaps a one-in-six chance of reducing their Medicare losses by 1 or 2 cents on the dollar of actual spending. That’s not a very appealing risk/reward relationship. The economics of Medicare’s ACO program greatly resembles Tom Sawyer’s famous fence painting project, where Tom talked his friends into paying him to let them paint his fence. It is telling that, thus far, CMS has not released analysis of the actual set-up and operating expenses of their ACO cohorts that would enable independent estimates of the return on investment experience so far. Unless participation in the ACO program is made mandatory, which would provoke a firestorm of reaction from hospital and physician communities, it is unlikely that providers who do their homework will join future versions of this program in significant numbers. What Should HHS Do Now? Medicare shared savings is not a new idea. CMS has been testing it for a decade, beginning with the Physician Group Practice demonstration in 2005. It is a reasonable forecast given the past decade’s experience that the ACO is not going to be a viable total replacement option for the regular Medicare program. A fall back position would be to leave the ACO as a contracting option for provider organizations in the high-cost Medicare markets, e.g. letting provider organizations compete to lower Medicare spending in their areas. Another wheel falls off Obamacare. At least in the House of Representatives where the Republicans hold sway. It is doubtful if the Democratic Senate will go along with this message from the people's representatives. Forty-six Democrats joined 234 Republicans in the House who voted Thursday to repeal the much-maligned medical device tax, reports The Washington Times. The bill would eliminate the 2.3 percent excise tax enacted in the Affordable Care Act. The tax has been called "burdensome" and "stupid," and its repeal has been a priority among the GOP this year. The medical device tax threatens to impact employment, and an unneeded burden upon manufacturers. The tax was expected to raise roughly $24 billion over the next decade; that would have to be made up in other ways. In July, the Medical Imaging & Technology Alliance, the Advanced Medical Technology Association and the Medical Device Manufacturers Association announced that medical device industry payments to the Internal Revenue Service already have passed the $1 billion mark. At a Congressional hearing in March, meanwhile, lawmakers said that the tax "looms large" over the mobile healthcare industry. 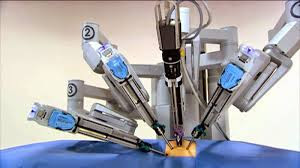 "While the IRS and FDA have provided some draft guidance on how they will apply the medical device definition and medical device tax, their analysis is not a poster child of clarity and leaves large parts of the economy wondering if they will be on the hook for what is essentially a tax on innovation, Meanwhile, lawmakers said that the tax "looms large" over the mobile healthcare industry. This is counter to the goal of developing remote monitoring, telemedicine and mobile health devices. Republicans and others continue to gut the Affordable Care Act by stripping the financing necessary to operate it. 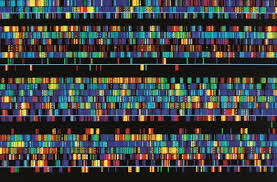 Amazon and Google may be outstripping the capacity and abilities of University databases for human and other genomics. They offer greater storage ability and algorithms which surpass conventional research data bases. Charge for this service range from $ 3.00 to $5.00 per genome. Amazon.com Inc is in a race against Google Inc to store data on human DNA, seeking both bragging rights in helping scientists make new medical discoveries and market share in a business that may be worth $1 billion a year by 2018.